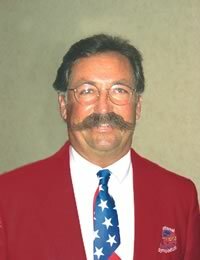 Chuck at the International Fly Tyers Symposium 10 years ago. Photo credit Cuck Furimsky. Chuck Furimsky, Director and CEO of The Fly Fishing Show: Chuck has been the director of the Fly Fishing Show since day one. He founded the Fly Fishing Show with his partner, Barry Serviente, nearly 20 years ago. Chuck formed a fly fishing show held at Seven Spring Mountain Resort in Pennsylvania in 1986. Several years later he met Barry, who was running as small fly fishing and book show in central Pennsylvania. Together they came up with the idea of a fly fishing only show to be held in Somerset, New Jersey. The event was so well attended that the fire marshal shut the doors to any additional people. Today, the Somerset location is the largest fly fishing specific show in the world and the Fly Fishing Show has expanded to locations nation wide. Barry retired in 2008.The current Fly Fising Shows run continuously throughout the winter months with the following stops: Winston-Salem, North Carolina: Denver, Colorado; Marlborough, Massachusetts; Lynnwood, Washington; Lancaster, Pennsylvania; Pleasanton, California and Somerset, New Jersey. Skip Morris. Photo credit Skip Morris. Skip Morris, author, angler, craftsman and fly tyer. 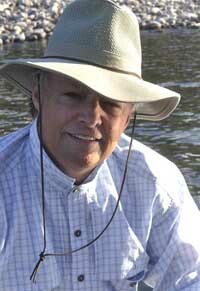 Skip Morris is among the most prolific fly-fishing and fly-tying authors alive – his name is known to anglers around the world. 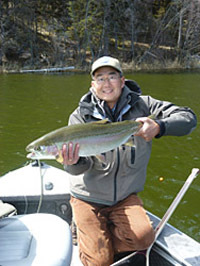 He has written twelve books, including the established standard beginning fly tier’s volume Fly Tying Made Clear and Simple, and The Art of Tying the Bass Fly, Morris & Chan on Fly Fishing Trout Lakes (with lake-fishing guru Brian Chan), Concise Handbook of Fly Tying, and Fly Fisher’s Guide to Western River Hatches. His videos and DVD’s range from instruction for tying nymphs, to tying bass flies, to tying and fishing flies for sea-run cutthroat trout. 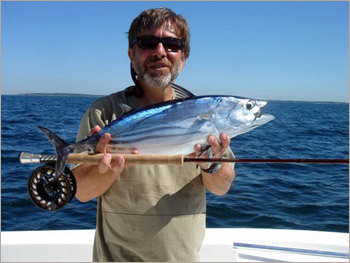 Skip has published over 200 articles in magazines from Fly Fisherman to American Angler. For three years he was among the hosts of the “Fly-Fish Television Magazine” show. As a speaker and clinician, Skip is well-known as an entertaining, concise, and knowledgeable presenter, with a sly sense of humor and an easygoing manner that draws in the audience. ORVIS’ Tom Rosenbauer. Photo credit Saltwater Angler. Tom Rosebauer almost single-handedly took ORVIS from being known as a doggy bed and fine womens and mens clothier company to its present status of being a serious fly fishing company producing some of the best and most popular fly angling gear in the world. Brian Chan. Photo credit Still Water Fly Fishing Store. Brian Chan has been fortunate enough to live and work for the past 35 years in Kamloops, British Columbia. Kamloops is world famous for its rainbow trout, being strategically situated in the centre of hundreds of productive stillwater trout lakes. It is often referred to as the “Yellowstone of the North.” It is here that Brian, as a provincial fisheries biologist, managed the recreational stillwater trout fisheries in the Thompson/Nicola Region, and developed his fishing skills. Brian’s lifelong passion for fly fishing has resulted in his spending literally thousands of angling days on these world class waters. He has shared his extensive knowledge of aquatic biology, trout ecology, entomology, and lake fly fishing tactics with others, through a number of magazine articles, books, and instructional DVDs on fly fishing. Brian has been featured on many TV fishing shows and is currently a regular guest on Sport Fishing on the Fly and co-host of The New Fly Fisher. Brian enjoys introducing new fly fishers to this sport, getting them “hooked” on his lifelong passion, as much as he enjoys helping to refine the skills of even the most advanced stillwater anglers. Phil Rowley. Photo credit Still Water Fly Fishing Store. Phil has appeared on a number of T.V. shows including, BC Outdoors Sports Fishing, Sport Fishing B.C., Fishing Alberta, Fishing with Shelly and Courtney and Let’s Go Outdoors. Phil is presently one of the co-hosts of the New Fly Fisher, an educational fly fishing production.